ANOBIUM: What strikes me most from what you’ve said about the Grateful Dead in class is the word “community.” When I first learned about the band, one of the strongest points made was the bootlegging culture—the fact that there are recordings of nearly all of their shows. Do you think the Grateful Dead instilled the sense of community which allowed that bootlegging culture to come about? STAN SPECTOR: It [the bootlegging culture] was a factor in the community for sure. You know, the first Dead record I heard was a bootleg from a concert that someone had recorded off the radio. Part of the bootlegging culture came about because of how the technology changed. When cassettes came out, someone would record a show and then other people would come by his house to copy it. It was face-to-face that you’d meet tapers, so there was that sense of taper community. The taping scene got so huge – I mean, there were so many microphone stands in front of the soundboard that the soundboard guys couldn’t see the stage. The band finally decided to arrange a taping section. They encouraged taping from the very beginning; their idea was that that show was done, and it wouldn’t hurt their sales if other people could listen to it now if they wanted. 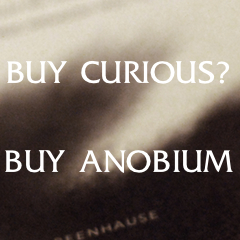 I don’t think they meant it as a marketing ploy, but it turned out to be a brilliant marketing ploy. Other bands are very tight about what can circulate and what can’t. So, the bootleg culture started: people would get together, and you’d make trader and taper friends at shows. But now, everything’s available to stream on the Internet and that particular sense of community has been compromised. A: But the sense of community around the Dead was so strong it just translated onto the Internet. SS: Deadheads were on the ground floor of Internet activities. Recordings can now reach millions of people without the face-to-face, but there are still other communities of folks who get together at shows and still meet. “Are you gonna go to this show?” “Are you gonna see this band?” “Let’s meet there.” That still happens. A: What about the Grateful Dead nurtured the community? Something came across my desk the other day. Someone was remembering a show from the 80s in Hartford, Connecticut. There was a flier distributed that had letters backward and upside down. It was a secret invitation to meet at this guy’s house after a show. So after the show, this guy went to the house which was in the suburbs and the street was filled with tour vans and inside people were listening to a Dead show at the lowest possible volume: the guy whose house it was said that his parents were asleep upstairs. It wasn’t unusual to meet fans out of nowhere. What happened to me once is that someone heard music coming from my apartment and walked in. He sat down and just started listening. I thought it was my roommate’s friend and my roommate thought it was my friend. We found out later he lived across the street. A: You’ve described before in class how the band played; how they lost the melodic structure and played around it, so to speak. Can you iterate? SS: It ‘s not exactly that they lost the melodic structure, but there are times when no one may actually be playing the melodic structure. They might be hearing it, but that’s not what they’re playing. And of course the song does have a chord structure and tempo, etc., but sometimes these conventional structures were in the background. It was as if there were ten people in the band. There were normal parts that a normal band plays that were understood and implied. The players in the band would then play in a way that presupposed the expected parts. Miles Davis once said that the song was in the space between the notes. With the Grateful Dead then, the song would be twice removed from the notes. Theorists who discuss improvisational music (and some would say the same about all music) emphasize “the conversational aspect” of music. Well, I would argue that with the Grateful Dead there were moments in some songs, and even entire jams, when it seems as though they’re all soloing simultaneously, and not actually in conversation with each other during those moments. A: So who are they in conversation with? SS: Here’s where I think Merleau-Ponty is helpful: they’re in conversation with the unplayed song itself. When fans listen in that special way of being present with the band and the music, I think that they are also in conversation with the unplayed, but understood song. Recently one of my colleagues told me about brain research that accounts for this sense of what he calls “participatory listening.” I’m sorry I don’t have a reference for you right now, but I am excited that people in the brain research business are wondering about the same phenomenon that I have been exploring through phenomenology. Apparently, the temporal horizon vanishes, which is how we can account for the experience of presence that the band and the audience often experienced. To me that’s a very important thing because the whole idea of subjects-objects is tied to the temporal horizon—the past and the future. A: Do you think the band knew about the philosophical implications of their music? SS: The guys in this band were pretty smart and came from a cultural context informed by the Beats, who were interested in philosophical and spiritual ideas and experiences. That Garcia was a voracious reader is well documented. In terms of philosophy, he said in an interview once that he read Kant, Schopenhauer and Heidegger in junior high school and in another interview specifically mentioned Martin Buber’s I and Thou. He never talked about Nietzsche directly as far as I can tell, but in one interview, he mentioned the Apollinian and Dionysian. He mentioned that the Grateful Dead was Dionysian and the Ken Kesey group—the Merry Pranksters—were Apollinian. [We both laugh.] No one had ever said the Kesey group was Apollinian. I don’t know if any of the other band members read academic philosophy. I do think that they were interested in issues that could be called philosophical, although their interest and conversations would not be considered systematic philosophy. They thought about their lives and what they were doing and cosmic issues about the meaning of life and the universe. Their experience with LSD certainly led them to consider questions about perception and reality. They also understood that they were in the midst of a huge social and political experiment in the 1960’s. So their interests covered the major areas of philosophical reflection: reality, perception and knowledge, ethics, aesthetics, and the political. A: You’ve mentioned how Garcia preferred music because he could play with other people and it was a more ‘dynamic’ art. Did that contribute to that inherent sense of community around the band? SS: It’s so tough to isolate these causal relationships, especially with something like this. It wasn’t until recently that I stopped having the attitude that the music alone was all that was important and that everything else about the phenomenon was secondary. For some people, the other stuff wasn’t secondary at all but contributed to the entire scene. I think the experience of the “Acid Tests” really helped them form a sense of a scene not so limited to just a concert or musical performance. At the “Acid Tests” they weren’t the band in the sense of headlining a show: they could play or not play. The scene included the band, but it also included the venues, backstage, and the people who attended as well. Look, have you seen The Grateful Dead Movie? It was filmed in 1974—just before they took a break for a year and a half. Although there is quite a bit of actual concert footage, the film also captures the scene. It shows the crowd in line, dancing, complaining about the filming, hanging out before and during the show. It shows the dark side and the not-so-dark side, and the interaction of the crowd and the band—in ’74 it wasn’t like it was in ’67 because this was a bigger venue, but you could still tell that it was one big family. There’s some concert footage, some historical stuff, and it starts with this brilliant animation sequence. Eight or ten minutes of unbelievable animation. After the intermission, they get into longer and intense jams. A: Describe some of your work with the Grateful Dead Scholars Caucus. SS: Let me say something about the Caucus first. 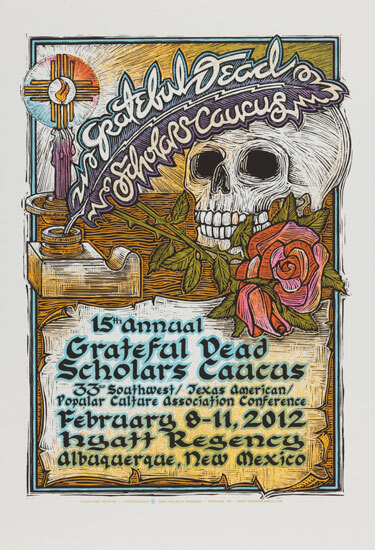 A year or two after Garcia died, a group of academic Deadheads met as a subgroup of the Southwest/Texas Popular Culture Association Conference. These folks all had trained in specific disciplines and were professionals in their fields, doing research and teaching in areas as diverse as History, Sociology, Communication Studies, Writing, Psychology, and so on. At this conference, they began to discuss their interest in the Grateful Dead from a variety of perspectives, each delineating a slightly different object with a slightly different methodology, but always related to the Grateful Dead. For example, musicologists might have discussed the music itself while historians might have focused on the role of the Grateful Dead in a larger social and historical context in a study of the 1960’s, and sociologists might have emphasized the phenomenon of community. I gave my first paper—one looking at the Dionysian aspect of the Grateful Dead experience—in the Caucus’s fourth year and have subsequently been systematically considering my experience with the Grateful Dead in the context of my philosophical training, primarily twentieth century Continental philosophy. Our yearly conference is unlike any others that we have experienced as academics. First, we’ve become friends who genuinely like each other, and there is never any posturing at these meetings. We spend the entire four days together, listening to each other’s papers and continuing the discussion throughout the day and evening. During the year each of us is doing his or her own research using the lens of a particular discipline. Then when we get together at the conference. We share what we have discovered and welcome the feedback we get from our colleagues. We have become an interdisciplinary, or perhaps even a transdisciplinary, group of folks. We’re developing a vocabulary about how to talk about the Grateful Dead, and one of the things I think we might do next year is to introduce a set of vocabulary distinctions to talk about the different kinds of jams the band does—to really lay out the territory about the different things going on there. I think that’d be useful. A: I don’t know if this is at all a good question, but do you have a favorite Grateful Dead album or song… maybe? SS: I mean, yeah, I have favorites, but I would be hard pressed to choose just one, since they played so many shows and so many different songs. Sometimes I want to hear a particular version of a particular song or maybe even a particular show. It really depends on how I feel at the moment. I know we talk about the Grateful Dead as one band that played for 30 years, but during those thirty years, there were actually nine or ten different bands depending on the personnel and what they were exploring musically. I generally find myself listening intently to a period. When I was working on a paper about “Dark Star,” all I played were shows from 1968-1969. Lately I’ve been listening to the shift in their music that came about when Keith Godcheaux joined the band in 1971. The entire Europe ’72 tour has recently been released, and the sound quality is excellent. It’s been fun revisiting those shows. You know, because they played so much it’s both easier and harder to suggest what to listen to. Of course it’s more difficult because there is so much to choose from, but it is easier because we can match something that they played to someone’s musical interest. For example, if someone’s musical taste is already resonating with the later John Coltrane, then, I’d suggest starting with Live Dead, an album which captures the psychedelic jamming of 1968-1969. On the other hand, if someone is more comfortable with the structure of fairly traditional songs, then I’d suggest beginning with Workingman’s Dead and American Beauty and then moving into live performances. Either way, the particular music on any of their records stands as an introduction to how the Grateful Dead played, regardless of what particular genre some specific song represents. In a typical concert, they would play standard R&B tunes, tunes with a country flavor, blues tunes, ballads, all out rock ‘n roll songs, and some serious psychedelic jamming, and they played them all in that uniquely Grateful Dead way.